As of September 10th 2018 , Dimitri is now in Tala Bay, Aqaba, planning to continue soon his human powered circumnavigation of the world, while cycling through Egypt towards Sudan. After that he will cycle down towards the southwestern coast of Africa, where the row across the Atlantic Ocean will begin. Gulnara currently cannot be on the expedition route but surely hope to be able to return in the future. إننى ديمترى برنارد هنرى ميشيل كِيفِر مواطن فرنسى الجنسية ، وإننى فى منتصف رحلة بدأت من ألاسكا فى الولايات المتحدة الأمريكية، للتجوال حول العالم باستعمال الطاقة الجسدية وحدها. بدأت هذه الرحلة من مدينة أنكوراج فى ألاسكا، فى فبراير 2005، وتقدمت فيها بشكل متقطِّع، حسب قيود الحصول على التأشيرات المحلية والأحوال الجوية، وقطعتُ حتى الآن 24,215 كيلومتر (15,046 ميلا) من أنكوراج حتى العقبة فى الأردن، بادئ الأمر سَيرا على الأقدام فالسباحة فالتزلج فالتجديف، عبْرَ ألاسكا فمضيق بيرنج إلى تشوكوتكا فى روسيا، ثم استعملت الدراجة عبر الشرق الأقصى فى روسيا ومنغوليا والصين وكازاخستان وكيرغستان وطاجكسان وأوزبكستان وتركمانستان وإيران، ثم استعملت القارب المطاطى عبر مضيق هرمز من إيران إلى عُمان، فالدراجة عبر الإمارات العربية المتحدة، والمملكة العربية السعودية والأردن. بعد مصر سوف أكمل جنوب غربي في ساحل افريقيا الي ان يقطع المحيط الأطلنطي. حالياً انا بقوم باستخراج فيزا المرور الي السودان والتي أتوقع استلامها في السفارة السودانية في اسوان. يُعزز نادى الروَّاد Explorers Club الأمريكى فى نيويورك https://explorers.org/ ويدعم تماما رحلتنا، كما إنه يتتبع تقدمها باهتمام كبير، وإليكم خطابا مرفقا من رئيس ذلك النادى. انا اعتذر أنى لا أستطيع التحدث بلغتكم ولكن اتمني ان نستطيع التفاهم في كل الأحوال.. I am a French citizen and I am currently in the midst of an expedition originating from Alaska, USA, to circumnavigate the world using only human power. Having started this expedition in Anchorage, Alaska, in February 2005, I am progressing intermittently, according to local visa restrictions and weather conditions. I have so far covered 24,215 kilometers (15,046 miles) from Anchorage to Aqaba (Jordan). At first, trekking, swimming, skiing and rowing across Alaska, the Bering Strait and Chukotka (Russia). Then, cycling through Far Eastern Russia, Mongolia, China, Kazakhstan, Kyrgyzstan, Tajikistan, Uzbekistan, Turkmenistan and Iran. I then kayaked across the Strait of Hormuz from Iran to Oman and cycled further across the United Arab Emirates, Saudi Arabia and Jordan. 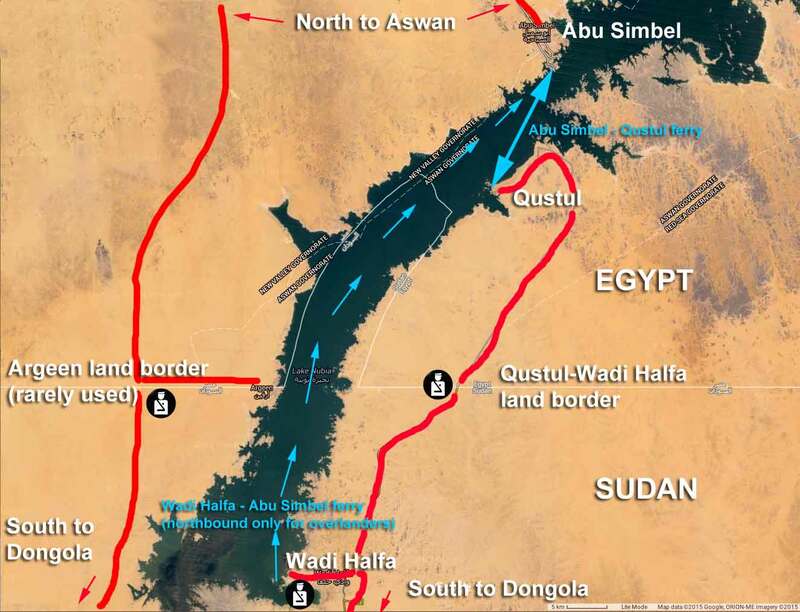 I plan to enter Egypt on September 13th through the border crossing of Eliat (Israel) – Taba (Egypt). 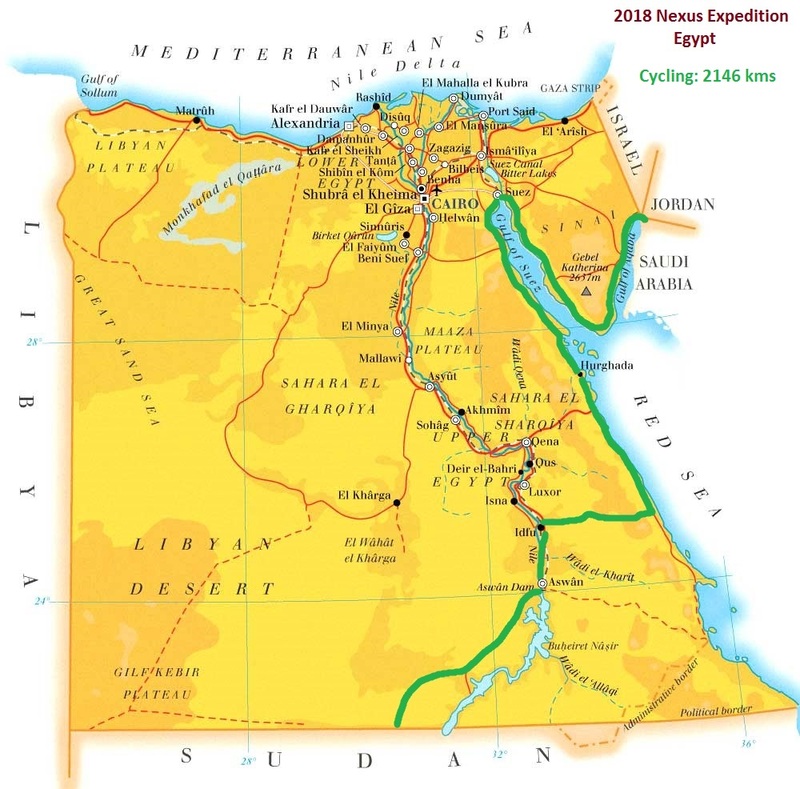 In Egypt, I will cycle approximately 2146 km, until I get to the Sudanese border in Argeen. After Egypt, I will cycle towards the southwestern coast of Africa, where the crossing of the Atlantic Ocean will begin. Concurrently I am working on my Sudanese visa (the next country after Egypt), which I am expecting to receive at the Sudanese consulate in Aswan. The Explorers Club in New York, USA (https://explorers.org) has fully endorsed and is supporting our expedition as well as following the expedition’s progress with great interest. See the attached letter from the president of the club. In order to comply with the established regulations of a human powered circumnavigation of the globe, I am requesting to be allowed to cycle or walk every single kilometer in Egypt and that I am not obligated to use any motorized vehicle while continuing my route through this country.